The governing Liberals are to announce Monday they’re moving ahead with a program designed to reach out to those who are vulnerable to radicalization in order to nip in the bud suspected terrorist plots like the one in southern Ontario last week. The Canadian Press has learned Public Safety Minister Ralph Goodale will announce details of the program when he visits a centre devoted to preventing radicalization that leads to violence. Last week, he stressed the importance of identifying those who are open to radicalization and finding the right way to prevent situations such as the death of a man in Strathroy, Ont., who was suspected of planning a terrorist attack. 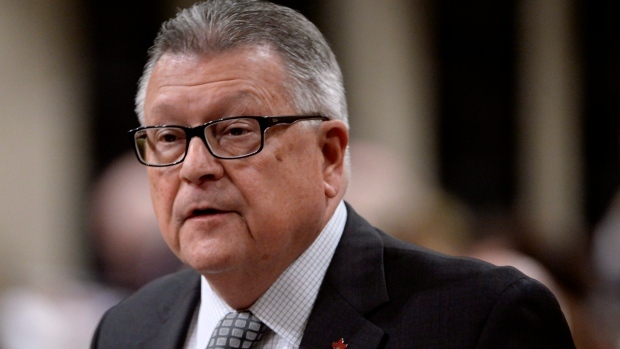 Goodale was also expected to announce the federal government will move ahead on building new immigration detention facilities. He was to visit a federal facility in Laval, near Montreal, on Monday. A Red Cross investigation in 2014 found numerous shortcomings at facilities for immigrant detainees including overcrowding and inadequate mental health care. Newcomers are often held in provincial jails or police facilities alongside suspected gang members and violent offenders.